Here are the gadget deals you can look forward to in the Snapdeal Unbox India Sale. It’s sale season and e-commerce giants are doling out multiple deals and offers on electronics. 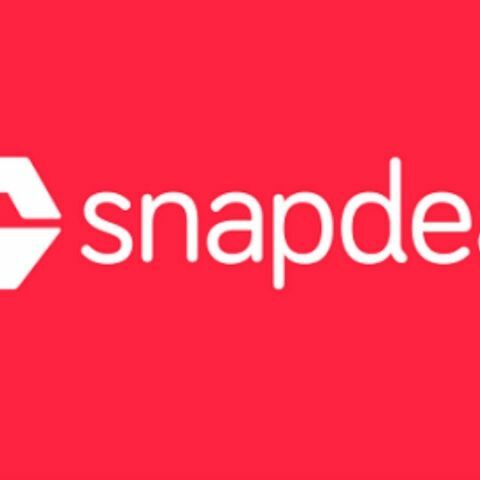 While we already got you the best deals from Amazon’s Great Indian Sale, It’s now time to see what Indian e-commerce portal Snapdeal has in store for its Unbox India Sale. With that, let’s take a look at what Snapdeal’s Unbox India Sale will offer. To start with, customers will be able to avail a 15% instant discount and 5X reward points using their HDFC Bank credit card. The Unbox India Sale will also give participants a chance to win 2N/3D free stay at a Club Mahindra Resort. In addition, shoppers will also get a free Whopper voucher from Burger King on every purchase. The sale would also enable users to avail free home delivery of Reliance Jio Sim cards. The Snapdeal Unbox India Sale will have a bunch of gadgets on sale. The Apple MacBook Pro 13.3 inch MD101HNA with Intel Core i5, 4GB RAM, 500GB storage, running on Mac OS Sierra will be available with a minimum discount of 45%. The older generation MacBook Pro is currently priced at Rs. 48,999 on Snapdeal with a discount of 39%, so with the sale, the price should come down to Rs. 44,000 approximately. The Nikon D3400 24.2 MP DSLR with an 18 - 55 mm lens will have a minimum 20% off. Snapdeal has already started updating its prices, hence you can even go and buy the camera today at a discounted price of Rs. 29,650. Click here to know all about the Nikon D3400. Another one from the camera department, the Canon EOS 700D 18MP DSLR Camera with an 18-55 mm + 55-250 mm lens will be available at a 20% discount at Rs. 35,899. The HP 15-AY019TU Notebook W6T33PA with a 15.6 inch screen, 5th Gen Intel Core i3, 4GB RAM, 1TB HDD will be discounted by 20%, bringing the price down to Rs. 25,999. Snapdeal already has an offer on the Google Pixel, with an instant cashback of Rs. 10,000 on all debit and credit cards. This limited period offer will continue till the end of the Unbox India Sale. Other discounted smartphones include - Moto G Turbo at Rs. 9,299, LeEcO Le 2 32 GB at Rs. 10,999, Samsung J2 Pro at Rs. 9,490 and the Samsung J3 at Rs. 7,740. Apart from the above, Snapdeal’s Unbox India Sale will also offer discounts of upto 60% on wireless headphones & earphones, as well as savings on washing machines and air conditioners.